Whatever hype you may have heard about this book, believe it, every last word is true, and probably expressed far better than I can hope to. It is incredibly addictive I read it in two sittings, and that was only because my eyes were hurting and I was tired so thought I would read all the key second half of the book until I was alert enough to take it all in. 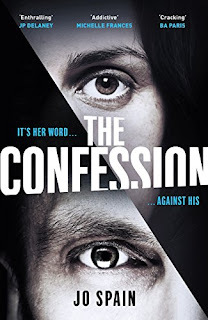 This is a book told in three perspectives, Julie, Harry McNamara's wife, JP Carney the man who an hour after assaulting Harry with Julie witnessing confesses to his crime, and Alice Moody the police detective in charge or trying to work just whether JP was insane or whether the crime was premeditated. Throughout the book you learn about JP's back story as well as all the ins and outs of Julie's marriage to Harry. And just when you think you have a grip on things, a new piece of information comes to light making you rethink everything. 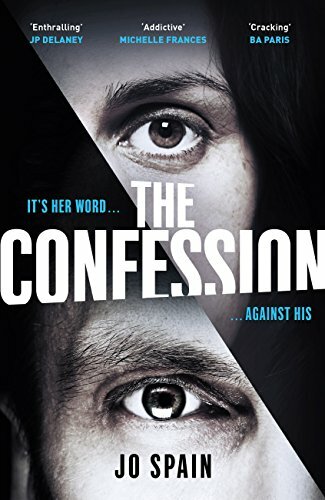 The Confession is a very clever book, and takes a look at the banking crisis of the last decade in Ireland, as the Celtic Tiger both boomed and busted and gives you a real look at how the other half lived. By the same token we also saw the absolute other end of life in Ireland, and at times I did have some sympathy with the assailant. This feels like quite a fresh concept and not one I had particularly read before, although others that read more deeply in the genre may disagree. I just couldn't help but continue to turn the pages as we discover just how fantastic Jo Spain is at creating believable characters. I didn't necessarily like Julie and Harry the whole time but there was enough humanity about them that meant I had empathy for them. I can't do justice to how brilliant this book is, I can barely you give you any hints as to the details as everything is relevant, I will though highly recommend you give it a read for yourself. Thank you to Netgalley and Quercus for this copy which I have reviewed honestly and voluntarily.